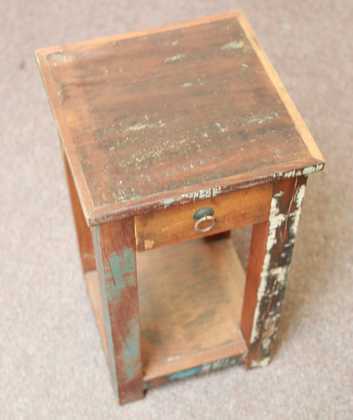 A perfect little bedside table with one drawer. 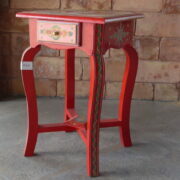 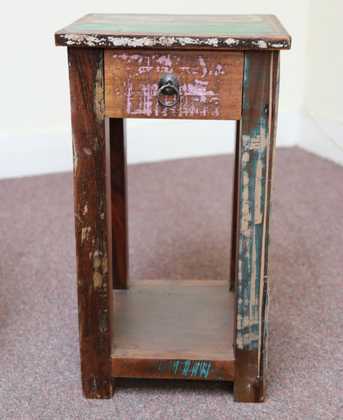 This bedside table makes a perfect little unit for use next to your bed or as a side table in the lounge. 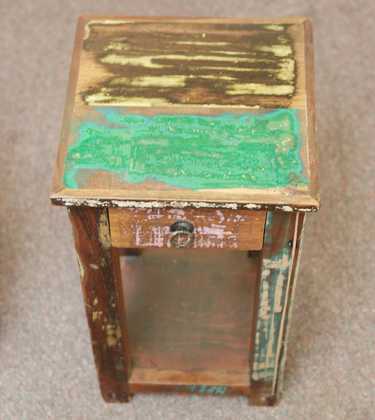 It has one drawer. 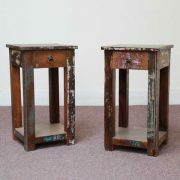 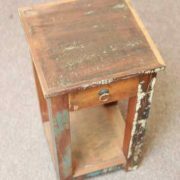 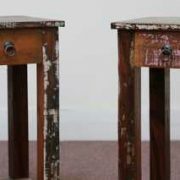 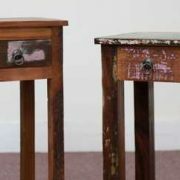 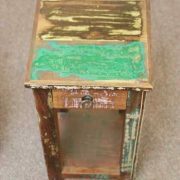 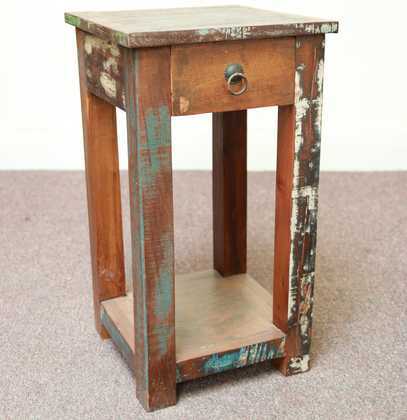 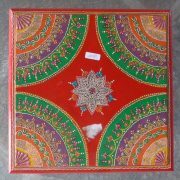 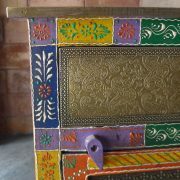 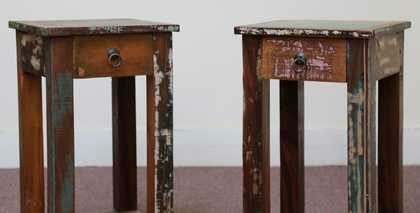 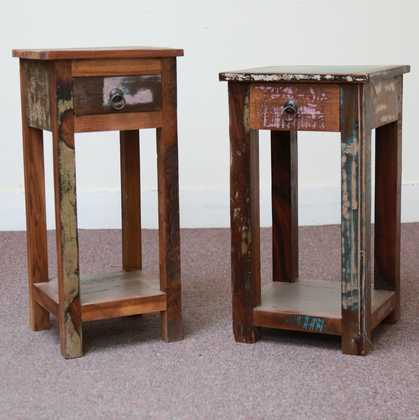 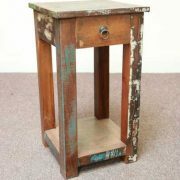 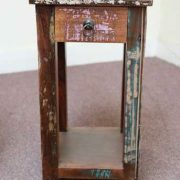 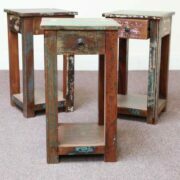 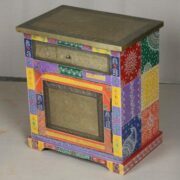 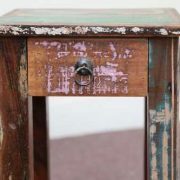 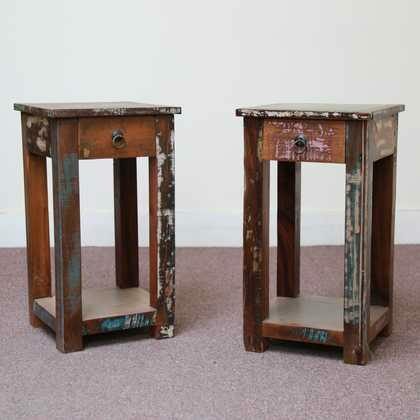 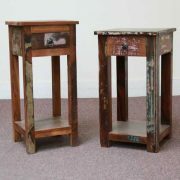 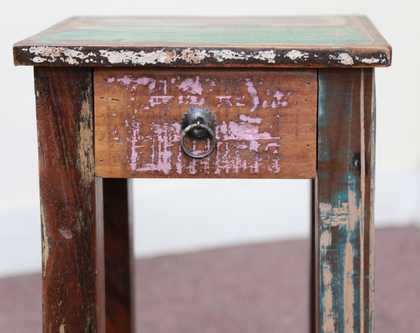 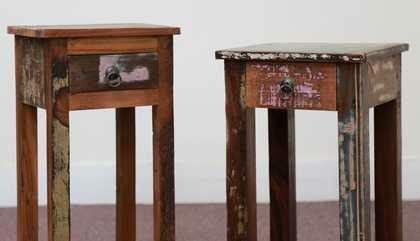 Painted to give a colourful distressed effect, it’s made from reclaimed wood and is pretty solid.